A new collaboration between CWRU and Cleveland Clinic involved the creation of an 11-acre integrated medical education campus to foster synergies between the CWRU School of Medicine, School of Dental Medicine and a School of Nursing. 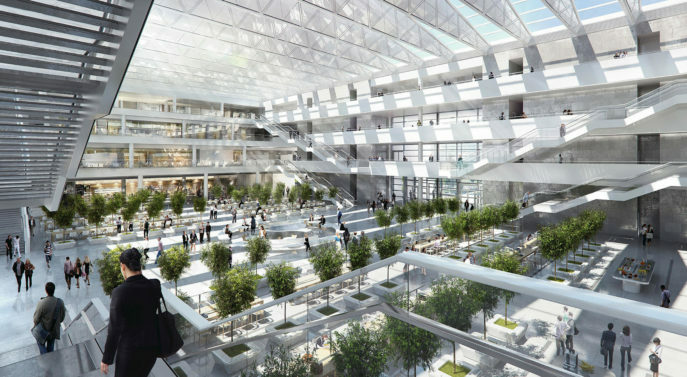 ReThink Advisors represented CWRU working with Foster + Partners to bring the 500,000 SF building to fruition, as well assisted with a complex land swap with the City of Cleveland. ReThink played a key role in facilitating the program and design of the building by developing a benchmarking system whereby six newly constructed medical schools, including Stanford and Duke, were studied in terms of overall size, program, efficiency, cost per square foot, and the amount of space allocated for different uses, including collaborative space. This information was extensively analyzed with the leadership of CWRU and Clinic, and used to align priorities and guide the design. Additionally, ReThink worked closely with the faculty of CWRU to foster synergies among the three professional schools, which previously had not shared space or intentionally collaborated. This significant change required a sensitive approach to mission alignment through interdisciplinary dialogue and shared experiences.